Emotional Freedom Technique (also referred to as EFT and ‘tapping’) could be the missing piece in your self-care routine. EFT is a technique that aims to help you release negative emotions and move past blocks in your life. The technique involves tapping certain points on the body (believed to be linked with energy or meridian points) and using specific language. The combination of kinetic energy and specific language is believed to have a powerful effect on our whole selves. But, what exactly does tapping involve? Firstly, think about an issue that’s bothering you (for example if you’re feeling anxious about a meeting at work) and think about the emotion attached to this issue. In our example, the emotion you feel may be simply ‘anxious’ or even ‘sad’. Think about the level of intensity you feel this emotion, with 0 being not at all and 10 being maximum intensity. 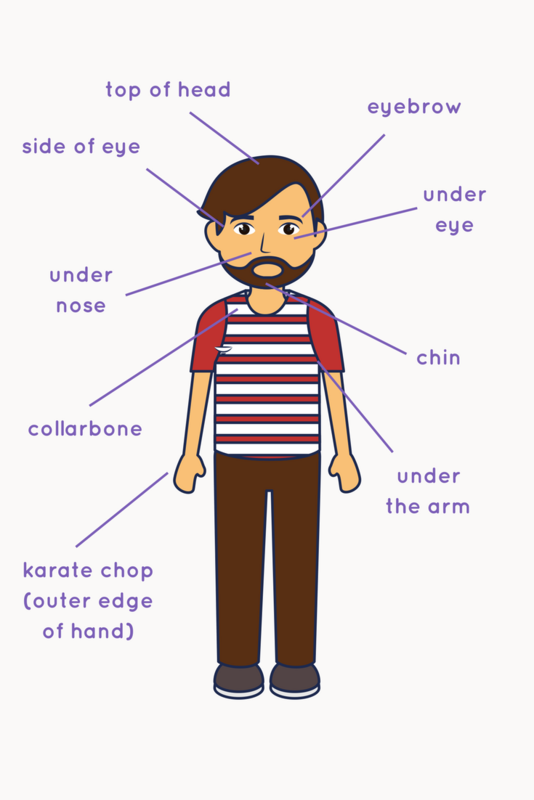 Start by tapping your ‘Karate chop’ (the outer edge of your hand) while repeating the phrase, either out-loud or in your head. Then work your way through the other tapping points, starting at the top of your head. After you’ve completed one round, ask yourself where you are emotion-wise on your scale of 0 – 10. Repeat the process until you feel the intensity drop to a level you’re happy with. Before you start integrating EFT into your routine, we would recommend a session with an EFT practitioner. They will be able to listen to your particular concerns and ensure the tapping and phrasing you use is right for you. These sessions can be face to face or online via video call. You may need a few sessions to build up the technique. At this time you’ll be in safe hands to explore and release your emotions. Once you feel you are ready to use the technique on your own, you can think about how often you want to do it and when you can fit it into your routine. It may be that it becomes part of your morning routine to help you get ready for whatever the day ahead has to throw at you. Or maybe you’ll find it more beneficial to tap in the evening, to help you let go of built up emotions from the day and switch into relaxation mode. The key to maintaining a self-care routine is to make it work for you, so experiment with different times and see what feels good to you.